What Does an Account Manager Do? There's more to key account management than meets the eye. 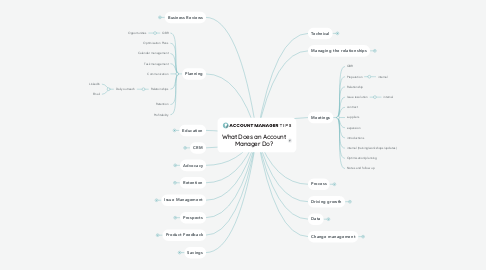 Learn what an account manager does in this mind map. 3.1.5. What does it mean?